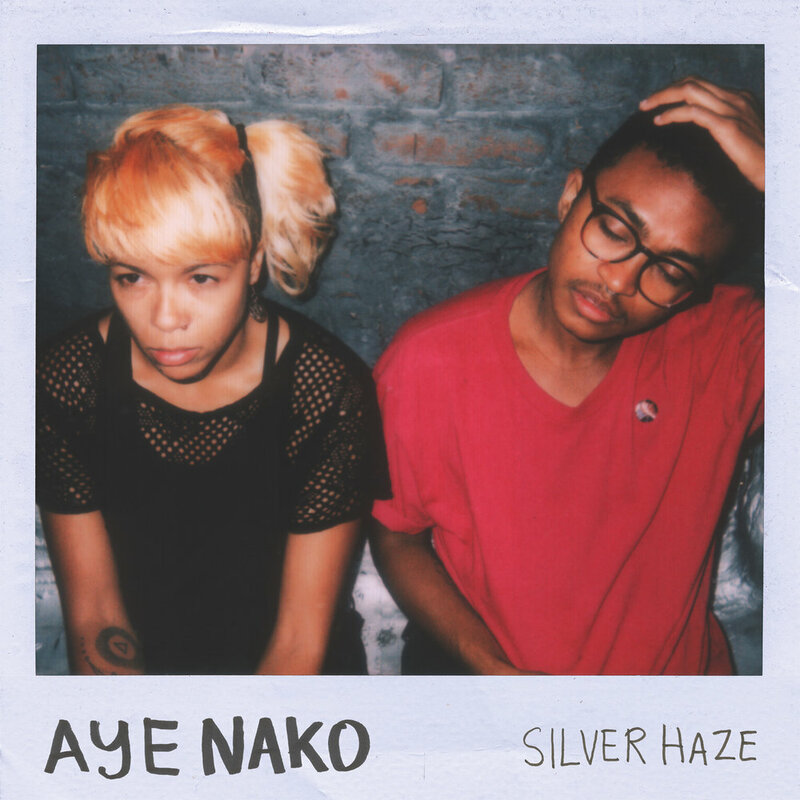 Artist Info: Silver Haze is the second full-length by New York City’s Aye Nako. The album features 12 songs recorded last year at Room 17 in Brooklyn with Joe Rogers and was released via Don Giovanni Records on April 7th. Formed in 2010, Aye Nako is a queer punk band composed of four weirdos that write disorienting, but highly melodic punk songs while carving out a space to co-exist in the fold between art, music, and politics. They’re a punk band, but not necessarily of the power-chord-playing variety. The songs on Silver Haze are dense and detailed, formed from a private language of interlocking melodies and rhythms. It’s music that makes use of blunt force, but also finds room for deep detail. Songs hinge on the call and response between Mars Dixon and Jade Payne, who split vocal and guitar duties. These are complex compositions that document various levels of heartbreak -- about trauma, abuse, and discrimination. And while there’s a spirit of confrontation, there’s also a deeply felt tenderness. Distortion and grit regularly pivot into moments of woozy bliss. The personal past is frequently exhumed and examined. Silver Haze opens with “We’re Different Now” places a tape collage of Dixon and their childhood friend’s playtime over a rhythm track, documenting a frozen moment of innocence. Closer “Maybe She’s Bored With It” is a journalistic snapshot of the singer’s first day-job working the early morning shift at an Arkansas make-up factory. Originally formed to subdue personal boredom, but now operating on another frequency, Aye Nako are actively seeking a planet where those who fall in the margins can feel okay about being themselves. The band has self-released one full length, Unleash Yourself (2013), and also put out an EP, The Blackest Eye (2015) through Don Giovanni Records. They have toured throughout the US with Screaming Females, Joanna Gruesome, and Speedy Ortiz.